Deakin University researchers have developed a new device that monitors physical comfort levels in an office. Dubbed the Baby Cube, the Deakin Cube Comfort Monitor contains a series of small sensors for tracking temperature, humidity, air quality, light intensity and light temperature and sound levels. The data collected by the device can be immediately analyzed via a cloud-based web server, giving building managers accurate and timely feedback about comfort levels, such as hot and cold spots in an office, optimum lighting, noise issues and air quality. 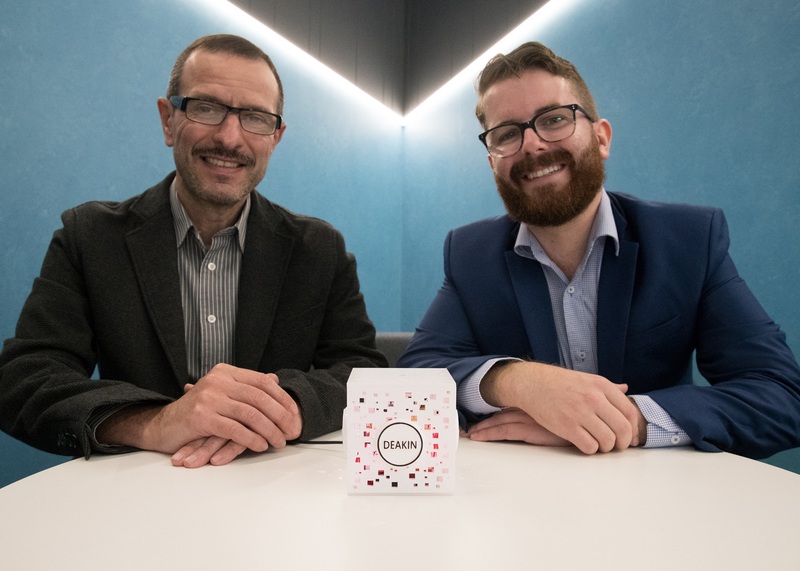 Scott Adams, a researcher with Deakin’s AIM team, said the idea for the Baby Cube came during this year’s January heatwave when Deakin’s Facilities Services Division sent out a reminder about managing thermal comfort in the work environment. “We wanted to know how temperatures and humidity levels fluctuated during that time to help us manage our cooling systems more efficiently,” Mr Adams said. The Baby Cube was developed by a research team led by Professor Abbas Kouzani which also included Dr Egan Doeven, Scott Adams and Josh Holland. The team now intends to test the Cube Comfort Monitor at 15 sites across Deakin, with a view to commercialise the product later in the year.